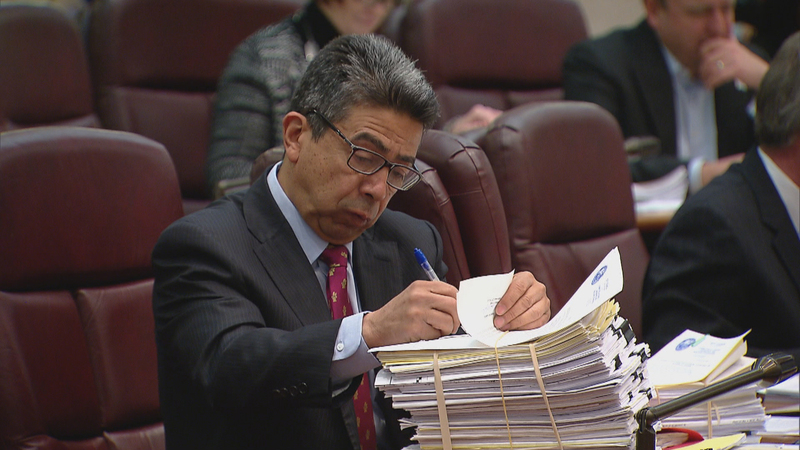 Just days after he said he was going to file petitions to seek re-election as 25th Ward alderman, Danny Solis announced he’s not pursuing another term. In conversation Monday with Carol Marin on “Chicago Tonight,” Solis said Ald. Ed Burke, 14th Ward, should consider doing the same. Solis – whose ward covers Pilsen and parts of Chinatown, the West Loop and South Loop – worked his way up from student activist at the University of Illinois at Chicago to an aldermanic appointment by Mayor Richard M. Daley in 1996. With more than two decades of experience on City Council, Solis has had his share of applause and criticism for his work on Chicago’s West Side, particularly in Pilsen. In a 2017 interview with WTTW for the My Neighborhood Project, Solis acknowledged what his critics called a lack of attention to a community’s wishes or needs. “My argument to people is: look, you elected me to get some stuff done, and I’m gonna get it done. If I don’t get it done or if you don’t like the way I did it, you can get me out. But I can’t be meeting every second,” he said. Solis on Monday said he’s been thinking for a long time about not seeking another term. He said there are several reasons behind it, including Mayor Rahm Emanuel’s decision not to run. As for his pick from the batch of mayoral candidates? He said he’d support either Gery Chico or Susana Mendoza, but wouldn’t say which one. Solis announced his decision not to seek re-election Saturday. “After 23 years representing the greatest community in Chicago, it’s time to enter a new chapter in my life and pass the baton of public service to another,” Solis said in a statement.